Fifteen years ago a little town invited us in, and even allowed the shinobi there to leave us in peace while we observed an epic tale unfolding in it’s streets. We are talking about the humble ninja village Konohagakure no Sato, which means ‘Hidden Leaf Village’, if it is loosely translated. It is a town governed by the Will of Fire. So what is this Will of Fire? Let’s explore one of the villagers and learn through part of his life story. We met a young orphan boy that struggled so hard to be noticed that he played tricks on the town even going as far as splashing the Hokage Monument on Hokage Mountain with paint. That boy was Uzumaki Naruto. The first one to nourish and teach Naruto was an instructor at the academy named Umino Iruka, who understood Naruto because he was an orphan himself. 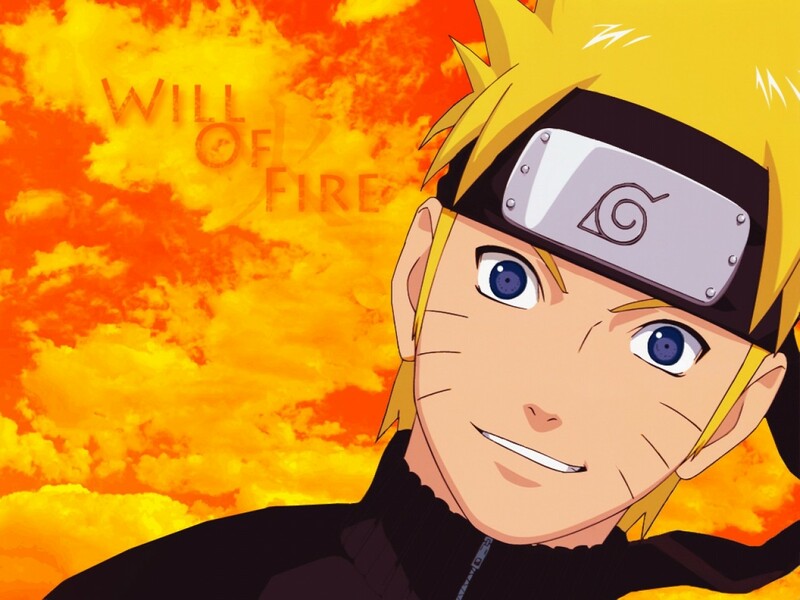 He created a strong bond with Naruto and in our walk with the happenings in the story we can both see the love for and pride in Naruto from this softhearted instructor. Jiraiya certainly became a home for Naruto, beacon of solace in his developing years, and we have a saying home is where the heart is after all. All of these great men shaped our hero Naruto, driven by the will of fire, and instilling in him the heart to continue the will of fire’s legacy. The Will of Fire (Hi no Ishi) is a noble ideal created by Asura, ancestor of both the Senju and Uzumaki clans). It is a belief that love is the key to peace, and is a life philosophy of many in Konohagakure Village. It has been passed on from parent to child for generation and states that the entire village is a large family unit and that every Konoha shinobi with the Will of Fire loves, believes, cherishes as well as fights to protect the village, as the generations did before them. In our journey through the village we even found a sculpture of a flame in the cemetery representing this will, with an inscription below it that says Hokage, literally meaning Fire Shadow. Third Hokage, Sarutobi Hiruzen believed that this is what gives the village’s shinobi the strength to continue fighting against all odds, giving them strength of character and symbolizes the hopes and dreams of the previous generation carried by the next. The Naruto Manga is ending and we are sad, but will the Will of Fire end with it, no. We will also carry it in our heart because in this little story we also learned messages that we will carry on and teach our friends and children. Naruto’s heart and morals became part of us that followed his journey. In that spirit we believe that the Will of Fire will never end. Besides it seems there might be a manga on it’s way set in the future, there has been talks about it and we will notify you if we learn more.